Your boat is your pride and joy; it’s where you go to escape the pressures of the everyday world and how you see the area from a perspective you miss when you’re standing on land. You’ve already visited our Santa Monica insurance center to ensure that your vessel is protected. Now, find out how it works in the unfortunate case that you’ll need it. Admittedly, being on a boat or personal watercraft has potential to be a high-risk scenario. If your vessel gets damaged or a passenger is injured, insurance is a must-have so that you don’t suffer substantial financial losses. Those are two basic frameworks of most insurance plans: property and liability coverage. It’s also smart to purchase uninsured watercraft coverage, in case you wind up colliding accidentally with another vessel that’s caught without insurance. 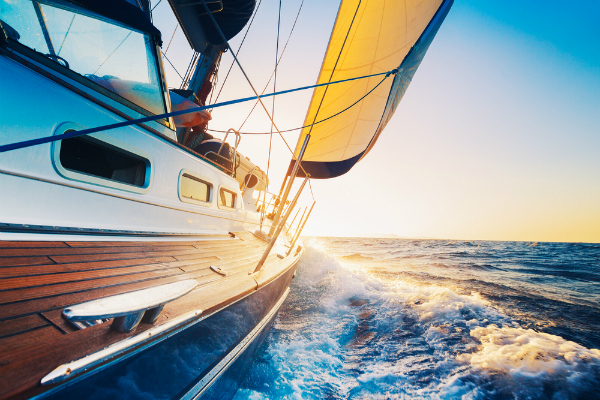 The premium of your boat insurance is determined by several factors, which is why we encourage Hawthorne area residents to take stock of these things while considering a boat insurance policy. The type of boat, its length, and its expected use (such as fishing or parasailing) will be three major things that contribute towards the determination of your policy’s cost. Our insurance team will also check to make sure you have the correct safety measures intact on your boat or personal watercraft, as that will affect your cost as well. You may be surprised by a couple other things that affect the cost of your insurance. Depending on where you plan on using your boat or personal watercraft, your premium may be higher, as some particular lakes or other bodies of water have higher claim rates than others. It’s one reason why you may rethink a particularly unlikely goal of conquering a tempestuous body of water! Surprisingly, your credit score is also a component in your rate, but probably not the way you think. Studies have shown that those with lower credit scores are more prone to boating accidents. As a result, those with better credit scores may pay more for boat insurance! Our Allstate insurance plans have a range of options for boat owners. You can contact Sully Insurance when it’s best for you and we’ll help you get started on a plan!